Xreal Games has announced their new VR shooter, Zero Caliber, available on Steam from November 9th. The game takes players to a United States in the not too-distant future where people are killing each other for drinkable water. But more importantly, the game offers you the chance to manually throw and catch ammo, and we’re pretty sure 99% of the game will be spent doing that. 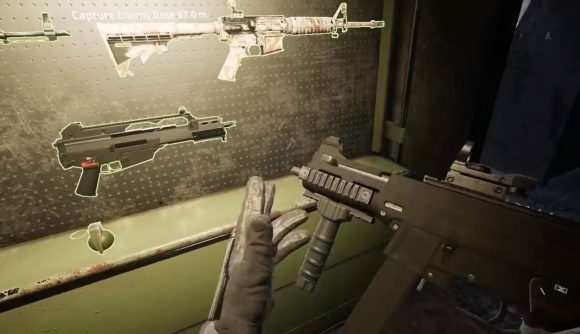 It’s caused quite a stir on r/gaming, where a clip of a player fitting attachments by hand and tossing magazines to teammates has 94,000 upvotes under a post titled ‘the Future of FPS Games‘. It’s an ambitious billing, but these 36 seconds of footage have got us more excited about VR’s potential for adding new gameplay to, and immersing us in, the shooter genre than anything else we’ve seen in a while. Zero Caliber will be available on Steam from November 9th on early access, with the game’s roadmap aiming for a PvP mode and more missions in early 2019, and a full release in mid-2019.